If every Monday started the way this Monday did, the beginning of work weeks would be much more acceptable. Sure the sunrises have been pretty nice lately, but today’s outdid itself. 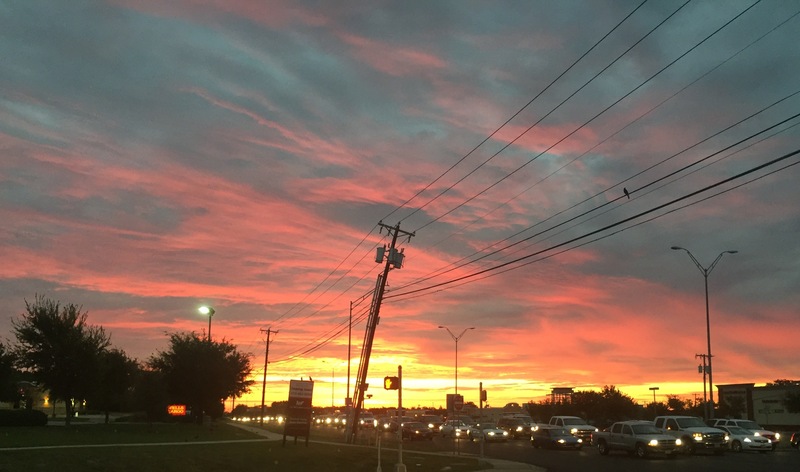 The timing has been perfect the past few weeks and I’ve been able to enjoy them while driving to work. Don’t worry, I only snap photos when I’m at stoplights; probably the only time I actually hope for more red lights! This morning’s was amazing. It was almost like the earth was on fire at the horizon with the clouds turning pink and blue from the smoke. 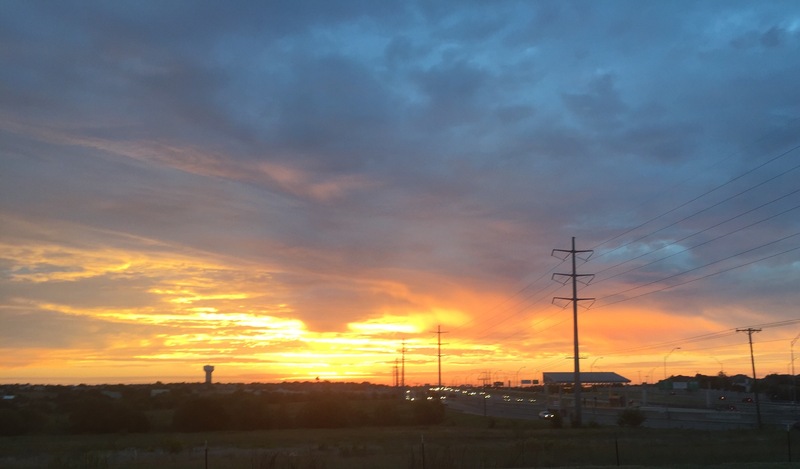 Like the molten center of a volcano was exploding somewhere, lighting up the sky with deep yellows, oranges and reds. The clouds out futher looked like smoke or gray ash. If only the sunrises were this beautiful every day. 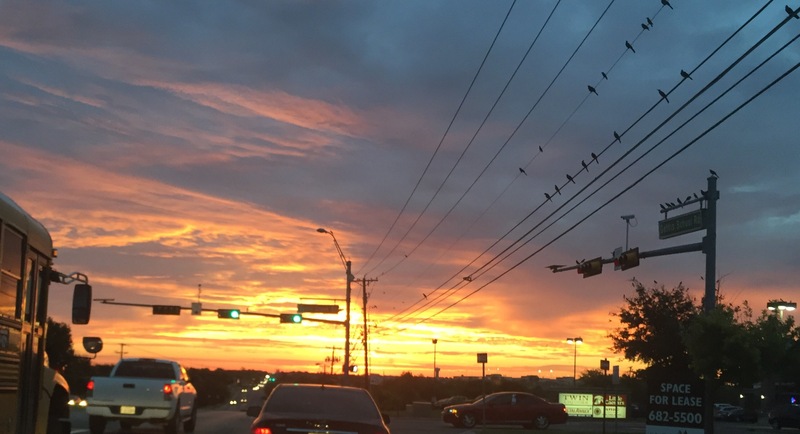 Even the birds seemed to stand still on the power lines to watch in awe. 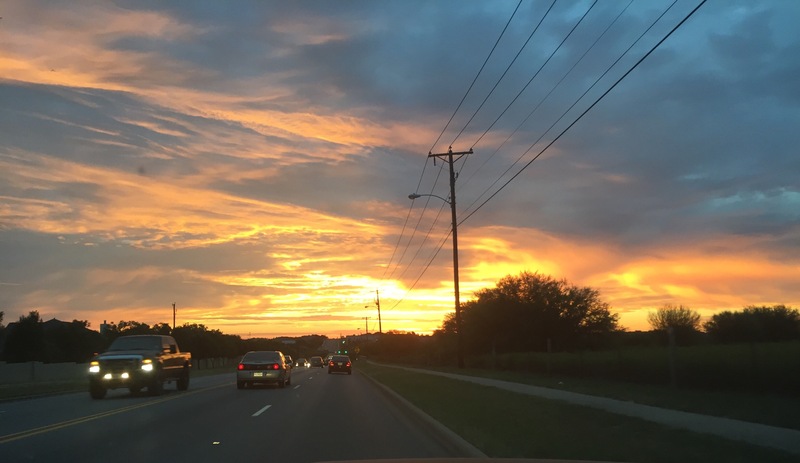 This entry was posted in Seasons and tagged central Texas, sunrises on October 5, 2015 by Julie Riebe.